The ICAA is pleased to announce that Robert ‘Tommy’ Vince was selected as the first recipient of the Mark Ferguson Award. Conceived in 2017 to honor Mark Ferguson’s service as Chairman of the ICAA Board of Directors from 2014-2017, the Award allows a student or emerging professional the opportunity to attend the eight-day Intensive in Classical Architecture in New York City. Tommy is an honor roll NCAA student athlete at The Catholic University of America (CUA), where he is in his last year of a five-year dual degree program studying architecture and civil engineering. 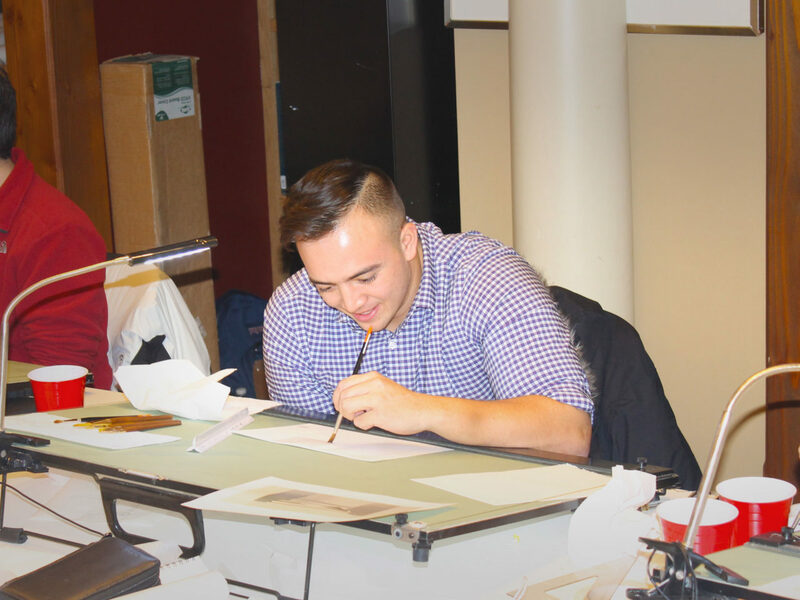 He serves as chapter president for the American Institute of Architecture Students at CUA, and recently finished his career playing middle linebacker for the CUA football team. ICAA: How do you feel the Mark Ferguson award will impact your future professionally? Tommy: The Mark Ferguson Award is an incredible honor; I was speechless when I received this award. Mark is regarded as one of the best classical architects in the world. I have admired his work at Ferguson & Shamamian since studying architecture at The Catholic University of America. To receive the title of “Mark Ferguson Scholar” is an honor for me and I know will be recognized by many in the architecture community. ICAA: How do you think your work honors Mark Ferguson's legacy at the ICAA and in the architecture community at large? Tommy: Mark Ferguson is an extremely reputable leader and working practitioner in classical architecture. I hope to continue working and demonstrating the importance and the beauty of classical architecture in my own work. I know that education is crucial to the tradition of classical design and I hope to continue in Mark’s example. ICAA: What impact does receiving this award, and participating in the ICAA New York Intensive, have on your career aspirations? Tommy: Receiving this Award and participating in the Intensive has been an important factor for me to pursue graduate studies in classical architecture at The Catholic University of America. I hope to make a career transition to pursue classical architecture design in my professional work. 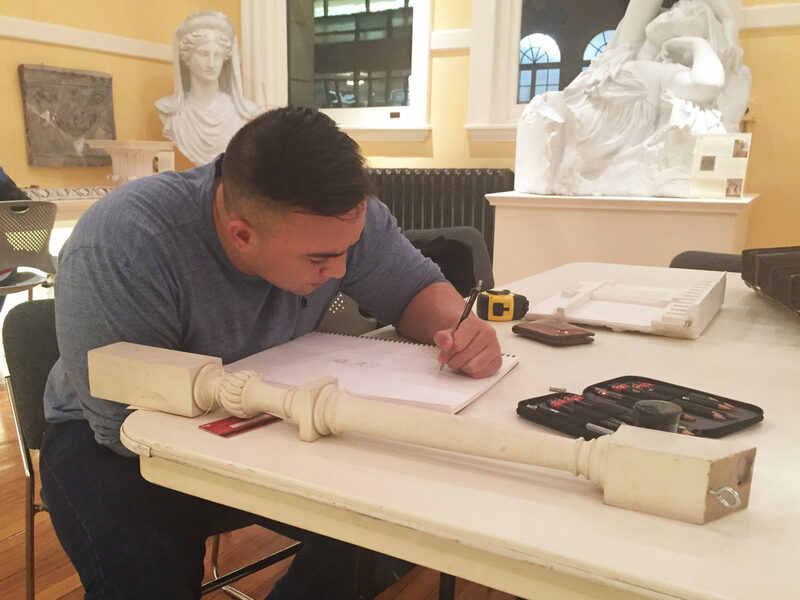 ICAA: How has participating in the New York Intensive changed the way you look at classical architecture? Tommy: The Intensive and all the instructors showed me how beauty, care, and admiration can be seen in not only architecture, but in all design. For me, to see the love for knowledge and the attention to detail from each instructor was inspiring to watch and experience. From Stephen Chrisman’s class on measured drawing to David Genther’s “perfect puddle” approach to ink wash rendering, the instructors’ passion for design was inspirational and amazing to learn from. ICAA: How did you first discover classical architecture? Why do you think studying it is important? 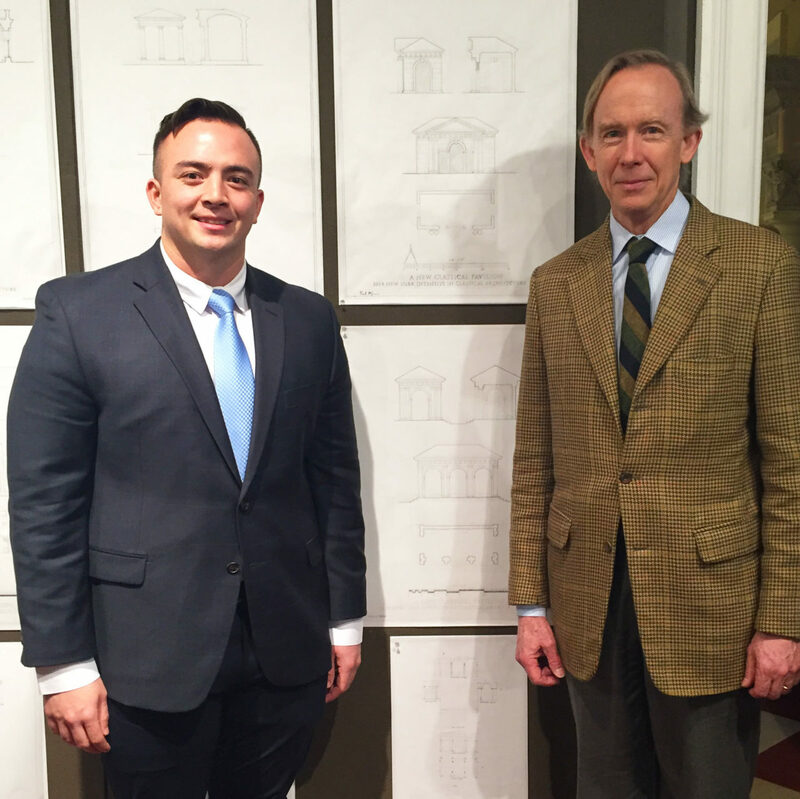 Tommy: I discovered classical architecture during my final design studio as an undergraduate student when I was on a team to design a museum and library dedicated to the American Presidency under Professor James McCrery. Before that, the discovery of this design methodology was enhanced during my semester abroad in Rome and visiting other parts of Europe. To me, classical architecture provides a language and precedent than can be learned from and built upon. My hope is to further this tradition of design and architecture that is both good and beautiful.